Neat jig! This exactly solves a problem I am faced with. I have 3 stretchers to tenon which have live edge on one side. My usual method for tenoning involves registering the stretchers from both edges… which in this case is very unreliable (not to mention safety concerns). I’m gonna build this jig for sure! 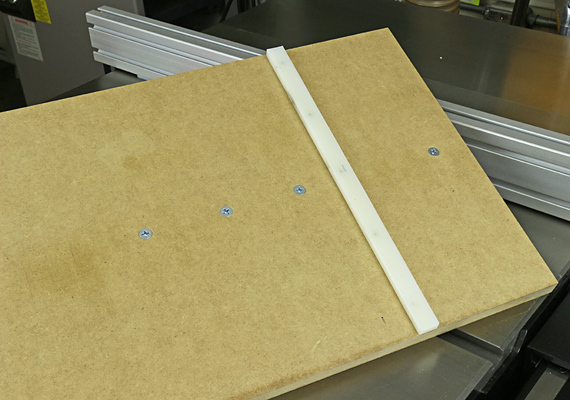 On thought for people who wants to build it that you didn’t mention; it is probably a good idea (but not always… because space can be a consideration) to position the jig so that it rides on the side where the blade (whichever it’s width) is at a constant position. 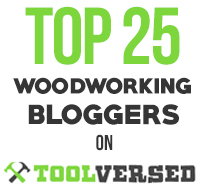 This means at right for me (I have a right-tilt table saw). This way, you can use the jig with any blade (even a dado stack) and still keep the bottom of the cut supported for less tearout. Thanks for the comment, Ben. I’m glad the jig will be helpful for you. Rob, you mention T-nuts in the article but I’m not sure where they are on the jig. Are they facing downward into the fence? 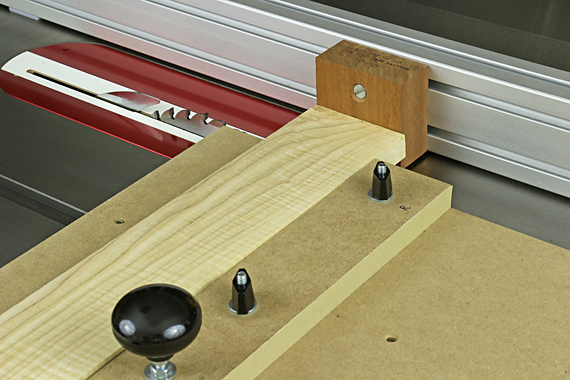 Also, do you make the cheek cuts using a vertical tenoning jig, or through some other method? Thanks. The T nuts are the four black plastic wing nuts that secure the fence to the base. I’m not sure what the official name for them is. 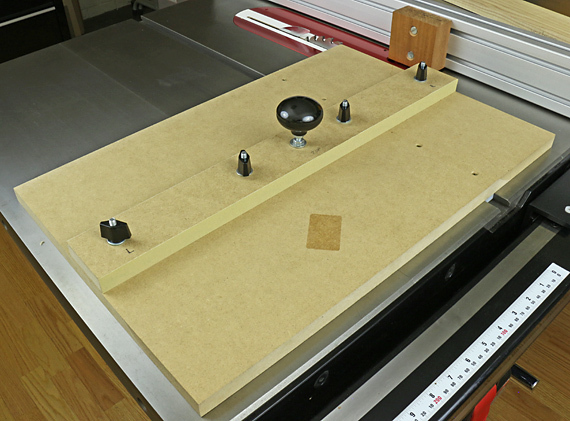 You can use this jig for the shoulders no matter how you make the cheek cuts, by hand or machine. If I’m in machine mode, I like the bandsaw for cutting tenon cheeks, but probably more often cut them by hand. If I’m cutting the cheeks with the bandsaw, I like to mimic the hand tool sequence by cutting the cheeks first, and then the shoulders with this jig. Yea, makes sense to think of those when reading “T nuts.” I really wasn’t sure what to call the things I used, and could not find a consensus online. “Plastic wing nut” is about the best I could find. The somewhat redundant “plastic wing nut with threaded insert” is an alternative. Anyway, thanks for reading and thanks for the comment. 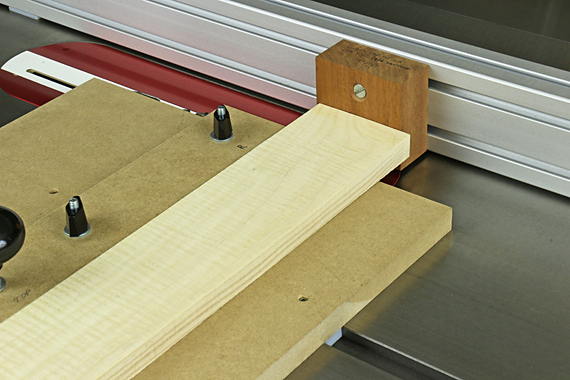 Now that you’ve had it for a while, are you still happy with your VSC table saw fence? I have a PM66 which is a great saw with a very pedestrian fence. Yes, very happy with the VSC fence. I think it is much better than the Biesemeyer-style fence that came with my SawStop table saw. That is neat! Of course, most times a board will have a tenon on both ends. If you flipped it over, still using the same reference edge, than both your faces would need to be parallel, no? If not the cuts on the second shoulders might not be perpendicular to the face (though easily remedied by a chisel). If you rotated the piece and used the other edge as the reference face for the opposite end, than your shoulders might not be parallel, which would probably be worse than any outcome with the flipping over method. Stupid furniture making. I think I understand what you’re saying but I’m not sure. 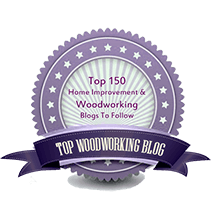 In any case, the key point of this jig is that it allows you to use a single reference EDGE to cut all four shoulders of a rail that has a tenon at each end. The reference FACE is necessarily, in all cases, the face that the blade is cutting at the time. Strictly speaking, yes, the faces of the rail should be in parallel planes, as they would be coming off the thickness planer. In any case, if they are a bit out of parallel, then all the shoulders might not be perfectly vertical. That is true of any table saw tenon jig. However, because shoulders are typically on the order of 3/16″ tall, the error would be miniscule, and, as you point out, easily remedied with a chisel.